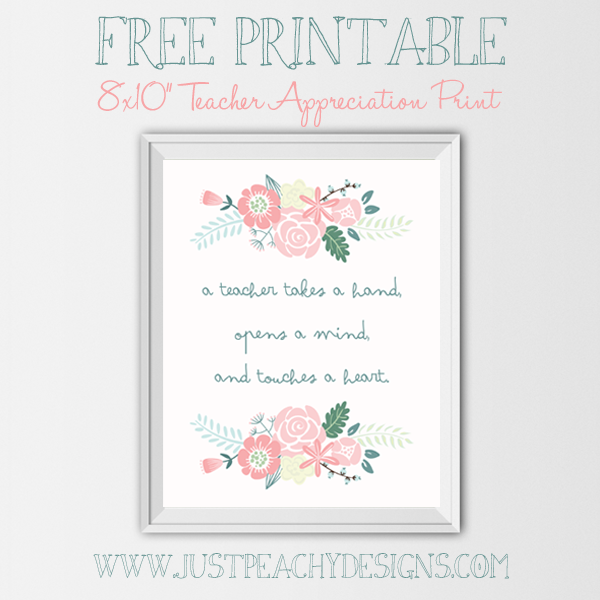 Did you know that next week - May 4th through May 8th - is teacher appreciation week? It's a special week set aside each year to honor all those teachers who work so hard and give so much to educate our kids. They're simply the best, and I know my son wouldn't be the awesome kid he is today without the wonderful, loving teachers he's had through the years. I'm sure you feel the same way too about your own children's teachers. If you're looking for a small way to honor them, you might consider this 8x10 inch printable. Just click the image above to download - then print, frame and have your kid present it to their teacher next week. It's a small gesture, but one that I hope will let your teacher know how much they are appreciated!